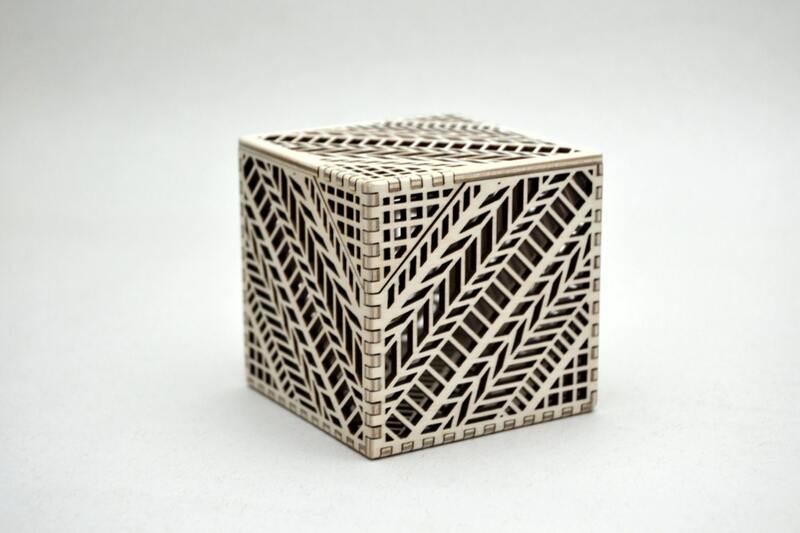 This clean, modern and visually intriguing laser cut plywood box is sure to please the box collector in your life. 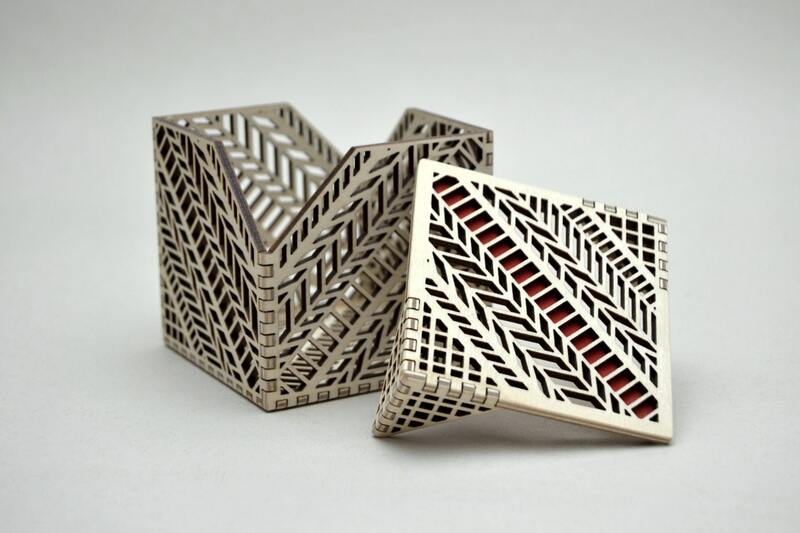 Melissa designed this box and we laser cut and hand assembled it in our Tacoma, WA studio. Made from 1/8' inch Baltic Birch plywood it is both light weight and delicate to the touch- but designed to be sturdy for years of enjoyment as a keep sake. This is a Japanese style raw wood box that ages beautifully if handled with relatively clean hands (not for young children). Measures: 2 and 7/8" per side (73 mm). 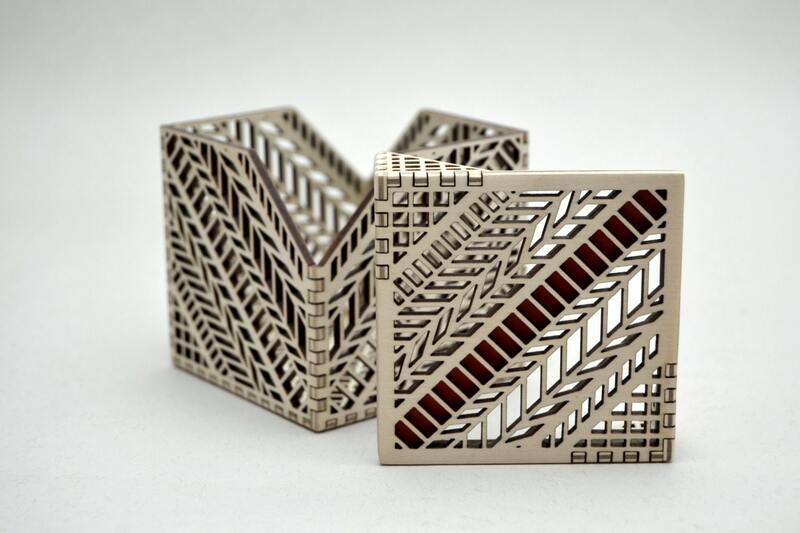 This design is starting out popular and we have it in stock and ready to ship!